From 14th to 18th of May Hydroo’s team has got in touch with pump engineers, EPC companies, end users and pump distributors from over 50 countries. Our main purpose was dealing face to face with them to better match our products to the real needs of the pump market. Main focus was the new VDROO development, the widest range of vertical multistage pumps in the market, covering up to 240 m3/h. Results of the trade fair widely exceeded our expectations and supported our presence in the main European markets, spreading our operations in many other EMEA regions. 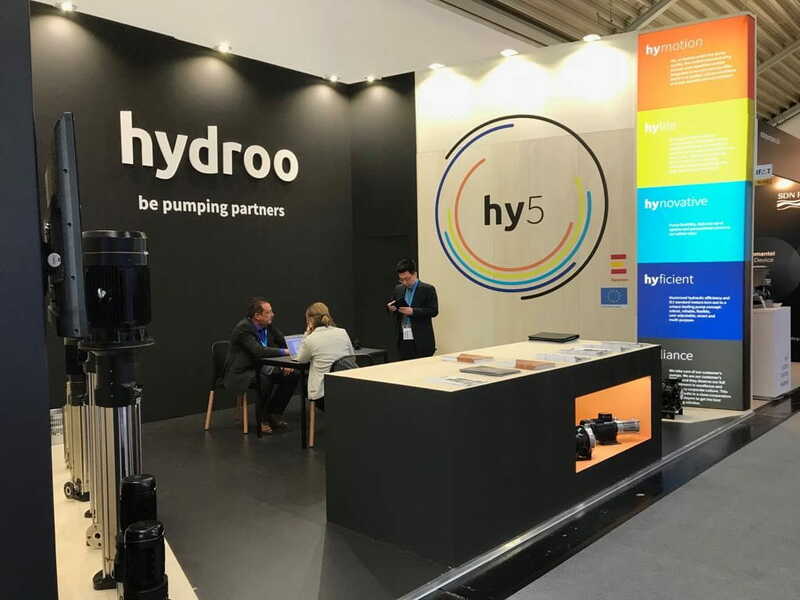 Hy5, our current marketing campaign to highlight HYDROO’s research and development drivers was also accepted by the visitors, who consider it a key action to position HYDROO as a main player in the pump business. We want to thank all our partners and visitors for their warm welcome at IFAT and the opened way to strengthen our long-term cooperation.